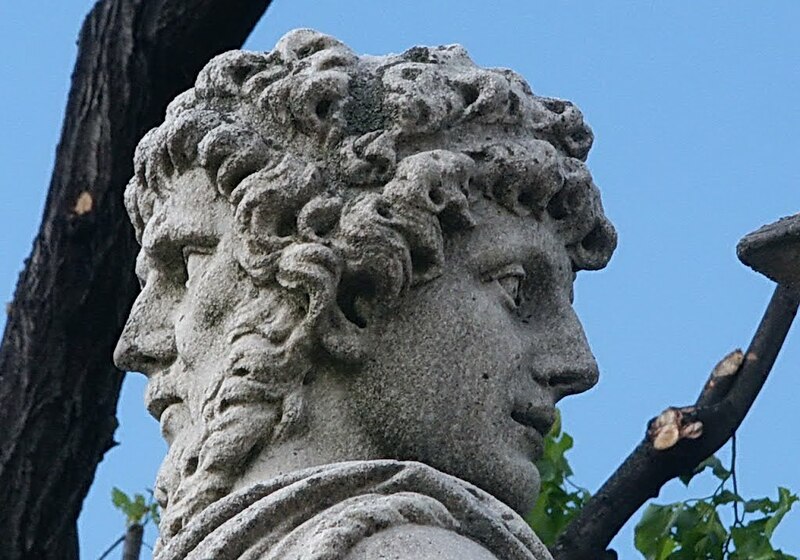 The month of January is named – it’s said – after Janus, the Roman God of beginnings and endings. His double nature is signified in having two faces, one peering into the future, one looking back at the past. Each moment in our lives is a fulcrum, a turning point between past and future but the turning of the year seems to have particular significance: we count down the final seconds of the old year, cheer at the stroke of midnight to welcome in the new, reflect on the past 12 months and make plans and resolutions for the year to come. So here I am on 1st January 2015, trying hard to look in both directions at the same time, anxious not to let the past slip through my fingers and wondering how the story of my life will unfold now that Chris has gone. It is our human habit to attempt to make sense of our existence by understanding it as the expression of a single coherent story, and I am no exception. Of course, we constantly have to revise the plot to incorporate new events as they happen and – until very late in the day – we cannot know how our stories will end. Perhaps the best we can do is to hold our stories-so-far lightly and pay close attention to the mundane details of everyday life, because they might offer some synchronistic clues to the next chapter. Today, for example, I went into the field where Teddy and I go to chuck tennis balls (well, me to chuck, him to fetch) with a walking stick and came out without one. I found it lying around somewhere, about the time Chris and I first met 15 years ago and now it’s gone. I looked around for a while without success, wondering how on earth I’d managed to lose it. Then I had a sudden thought. I stopped looking and went home. Thank you Geoff, such beautiful language to share your thoughts.